I have discovered the solution you are looking for in the kitchen. The days of wondering what to make that is quick and easy so you can rush the kids to their next activity are over. 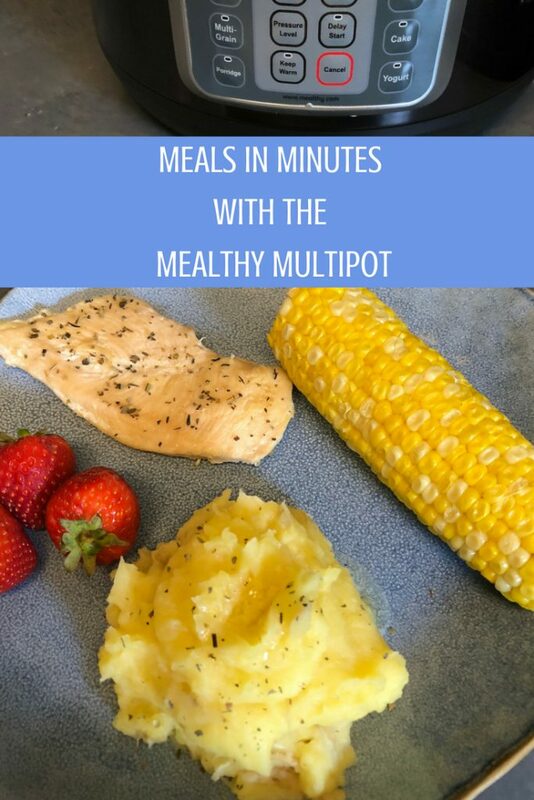 The Mealthy Multipot is an ingenious addition to your kitchen and is about to make your life so much easier. I’m giving away one to a very lucky reader so you may not even have to dish out the cash to buy one…keep reading to learn how to win. Busy school nights to hot summer days there are just times when I either don’t feel like cooking or don’t have the time to cook. The current humidity is draining any cooking abilities I may have so the Mealthy has been a game changer. Alan loves it because on the hot, humid summer nights I don’t want to eat and he ends up having cereal. 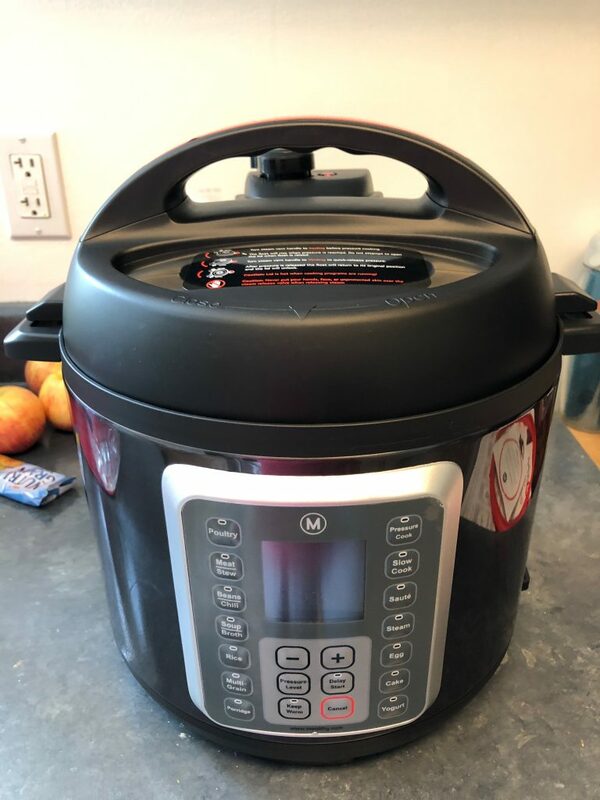 He’s thrilled that we finally have a multipot that is easy to use and cooks a meal in minutes. Everything from breakfast to dessert can be tossed in the Mealthy. 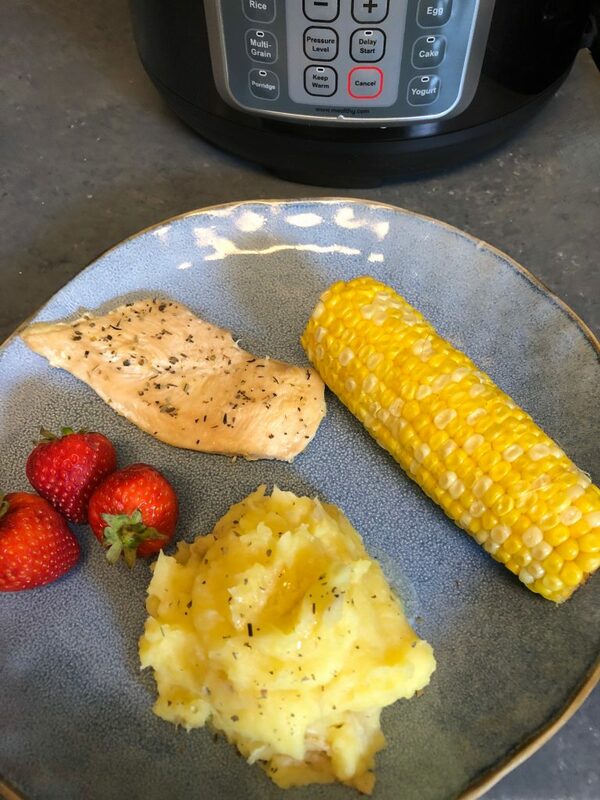 For lunch today I made chicken, mashed potatoes, and corn on the cob. During the cooking time, I continued to work so my total time in the kitchen for a healthy lunch was minimal. LOVE IT! Toss the potatoes in the bottom of the multipot. Add a cup of chicken broth. 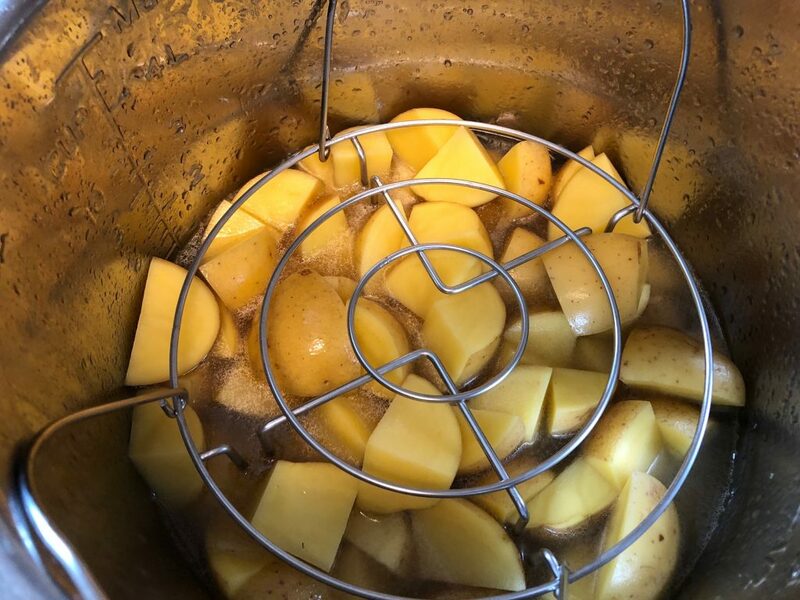 Place the steam basket rack on top of potatoes and then place steam basket on top of that. To the steam basket add your skinless, boneless chicken breast and shucked corn on the cob. The addition of a steamer basket lets you quickly cook an entire meal at once. Set the mutlipot to the poultry setting and set for 8 minutes. When done let it naturally vent for 10 minutes and then vent on quick-release. Lunch is served! 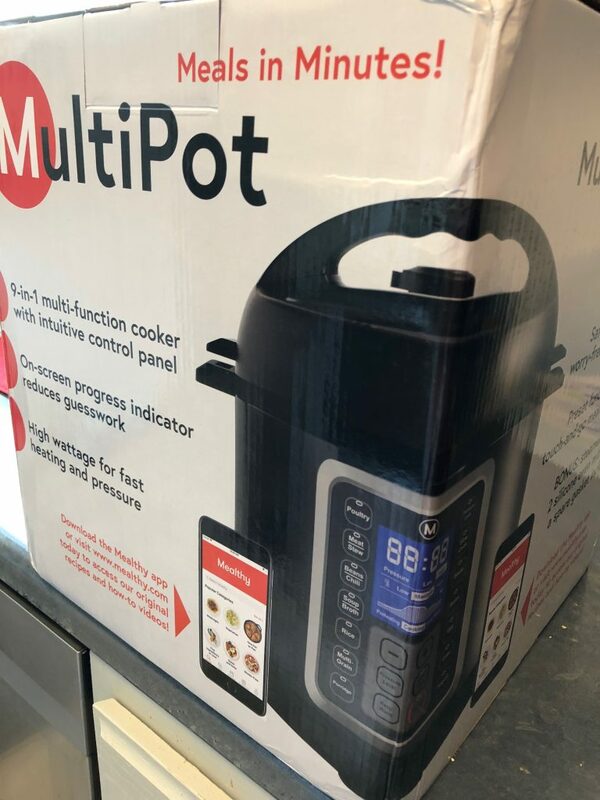 The MultiPot has everything you need in one beautiful and convenient appliance: pressure cooker, slow cooker, steamer, rice cooker, yogurt maker, sauté pan, and much more! WHAT COMES IN THE MEALTHY BOX? The quick picks cooking sheet that came in the box immediately went on my fridge. This handy dandy form shows how to make food in a hot second. There is also a recipe book in the box with a handful of recipes to try. However, I highly recommend downloading the Mealthy app for a lot more recipe ideas. 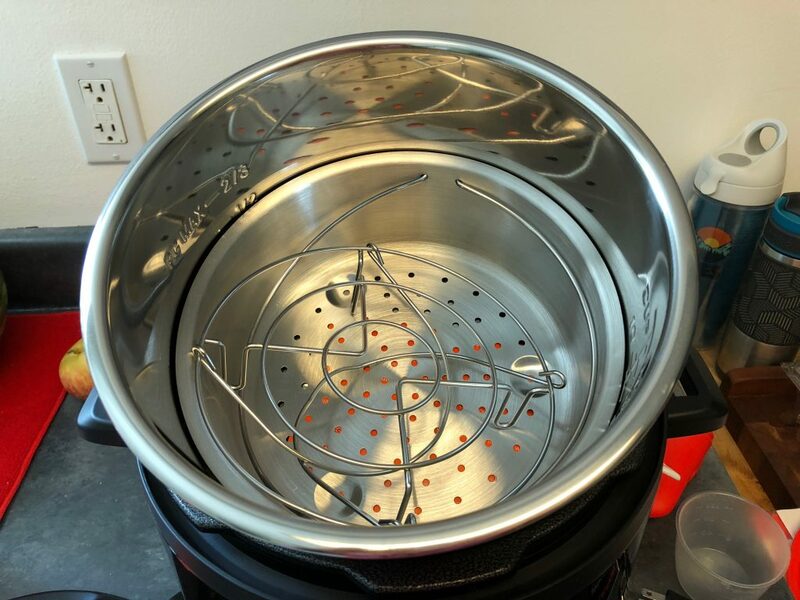 A steam basket and a rack are included with multipot. Hot pads to keep your hands safe. Also included is a measuring cup and mixing spoons. Simply leave a comment telling me what you’d make in it or what your favorite thing is about the multipot. I’ll draw and notify a winner on July 22nd. I want to try ribs in it! Everyone says they are so easy and so good. I love that you can make a meal healthy, tasty and fast! I’d love to try making a chicken and green chile stew in the MultiPot. I’d also like to start making my own yogurt! 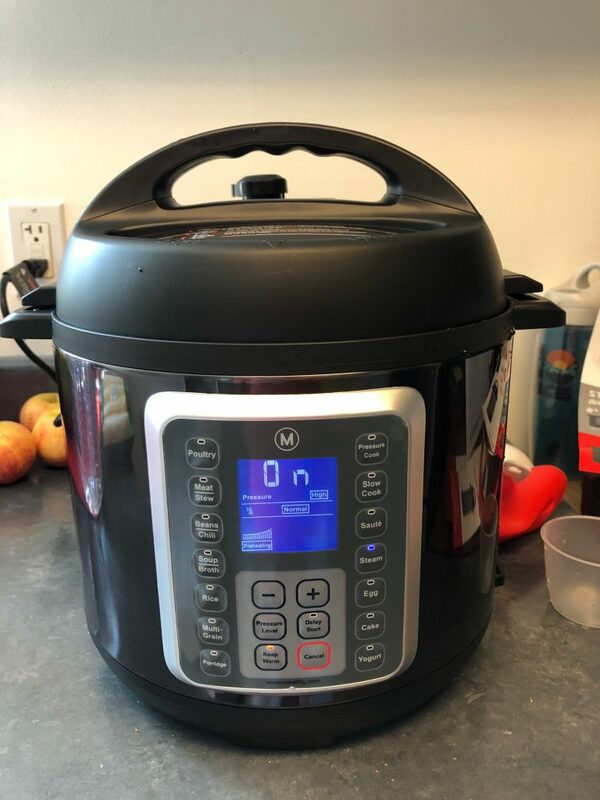 Beef has been the star in my pressure cooker recipes. Saves a lot of time on pot roast and stew, plus comes out very tender. I’d like to try making some short ribs in the MultiPot. I am seeing so much on this. I dont have one, yet, but my interest is peaked. Anything thst can make meals quicker, easier and healthier I am all about im curious about meat and veggies in the same pot. Doesn’t seem possible. If so, I’ll try bbq and broccoli. i would make a chicken in the multipot. I would cook in this every single day. Would use to make pot roast. I would make roasts and stews in it after a busy day at work. 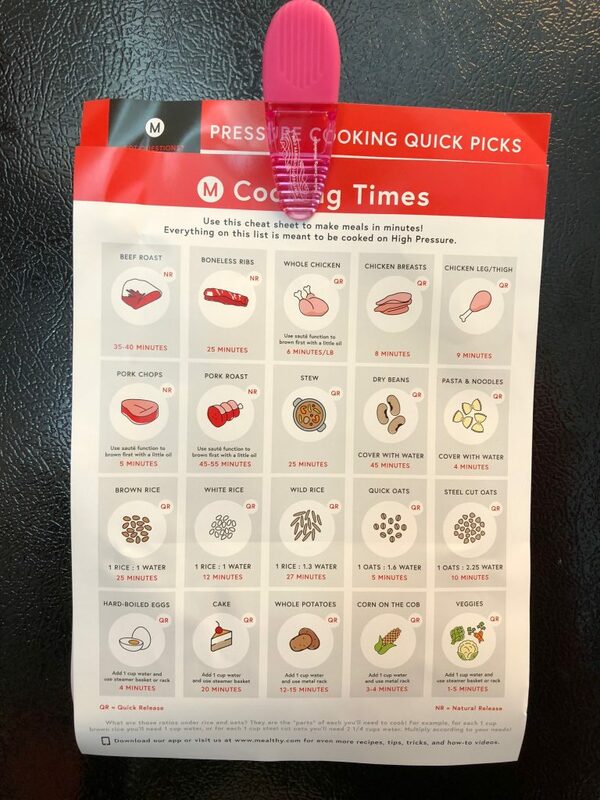 I like to cook meats in our slow cooker because of how tender and juicy they come out, but after looking at the quick picks sheet you have, I think I would try to make whole potatoes. I love all the pre-programmed options and probably would make things I never thought of making before. 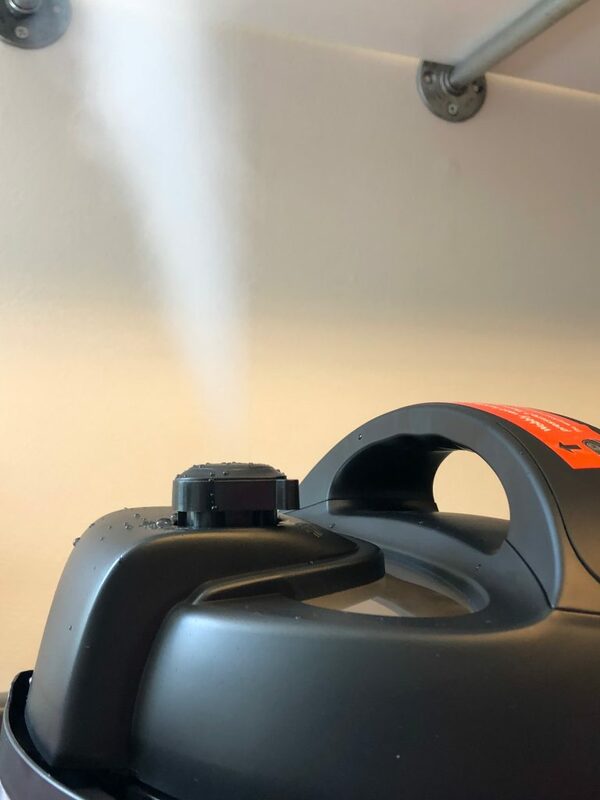 I would definitely use the steamer a lot for fish and vegetables. I would love to make a pot roast with potatoes and carrots. For some reason I’ve been craving this dish for months, but don’t want to cook in an oven during the summer. I would make a delicious beef vegetable stew. Hi everyone. I almost decided to buy the mealthy but I’m a little torn between the Mueller austria and the Mealthy Multipot. I have a question. 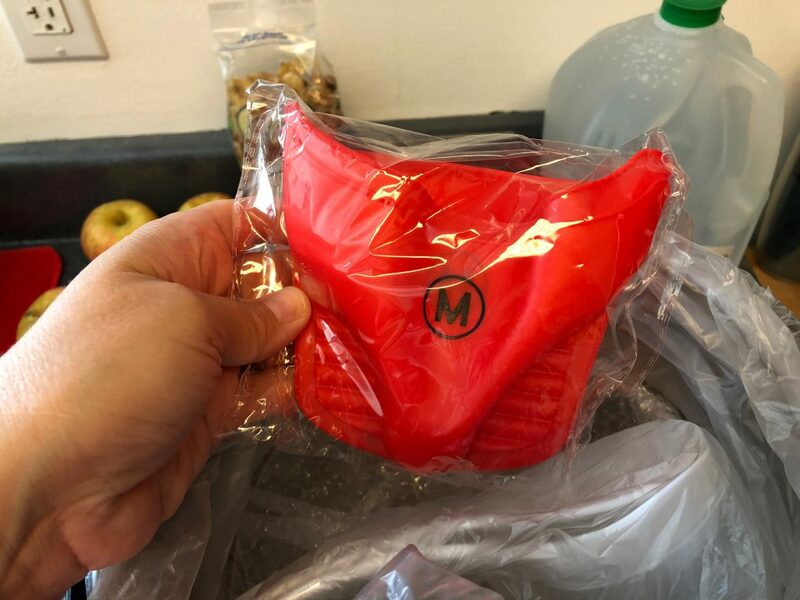 When I see the pictures the buttons of the mealthy seem to be covered by a cheap bubbly plastic Is that true or is it just the pictures?